Transpersonal: the leading edge of psychology. Over 80-presenters, TED-style talks, workshops and more! Call for volunteers. Help create this incredible event. Roger Walsh, an explorer in what it means to live wisely and well, and how to cultivate qualities such as love and compassion. Jorge Ferrer, best known for his work bridging participatory theory with transpersonal psychology, religious studies, integral education, and sexuality and intimate relationships. James Fadiman, well known for his extensive work in the field of psychedelic research, and currently exploring the interplay and separation between ourselves and the natural world. Rick Doblin, one of the leaders in Psychedelic therapy, Multidisciplinary Association for Psychedelic Studies. Marilyn Schlitz, whose transformational work helps redefine death and transforms our fears into inspirations for living and dying well, as well as identify and develop personal and interpersonal skills and capacities needed by 21st century leaders. Harris Friedman, an Abraham Maslow Award recipient for his "outstanding and lasting contribution to the exploration of the farther reaches of human spirit." Mariana Caplan, whose practice in spiritual emergences and emergencies, and support to individuals and spiritual communities in crises, helps people truly transform. Frank Echenhofer and Jane Brunette - Navigation Skills for Psychedelics and Spiritual Development: Assembling a Toolkit. And, the USA film premiere of Vladimir Maykov’s documentary film, "Tools for Evolution!" The Association for Transpersonal Psychology (ATP) will be celebrating its 50th anniversary in 2019 with an exciting conference. The theme of the conference is “The Future of Transpersonal Psychology: Acknowledging the Past, Honoring the Present, and Envisioning the Future.” In 1969 the transpersonal psychology field came into existence when ATP being granted non-profit status and published its first issue of the Journal of Transpersonal Psychology. 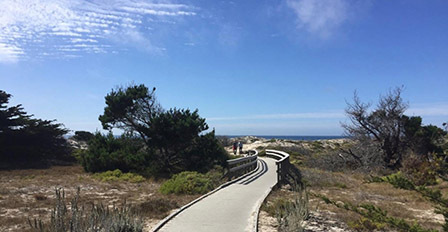 We warmly invite you to join us in this historic celebration at the beautiful Asilomar Conference Grounds where many previous ATP conferences were held. Innovative pioneers who founded the transpersonal movement will attend and share their experiences and contributions through presentations, workshops, and informal conversations during meals and break times. These creative thinkers broke away from mainstream thinking and established a new paradigm for the field of transpersonal psychology and the many related areas of transpersonal study and practice. They went beyond the then-established humanistic psychology to include spiritual and transcendent aspects of human experience as crucial for a fuller understanding of human beings and healthy living. Over the past 50 years the Association for Transpersonal Psychology and the transpersonal movement have made significant contributions to psychology, psychotherapy, psychiatry, sociology, anthropology, the arts, business, health care, leadership, and other applications. At this conference we will be acknowledging its origins, original motivations, and history. We will also discuss its current state, review its criticisms, and explore new directions and possibilities. In collaborative discussions we will envision and plan for the future uses of transpersonal psychology in everyday life and to prepare for the next 50 years. The conference will provide opportunities to meet the luminaries who founded the field and current leaders who now contribute to transpersonal theory, research, education, and practice. There will be opportunities to professionally network and make new lifelong friends with transpersonal professionals, students on their way to becoming professionals, and others who are passionate about the transpersonal. We can all learn and share in this stimulating natural environment. We have a USA film premiere of Vladimir Maykov’s documentary film, "Tools for Evolution." We will also have morning yoga, meditation, and shamanic practice sessions before breakfast. 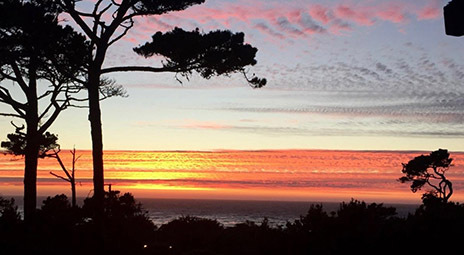 Come join us to celebrate 50 years of Transpersonal Psychology at the scenic Asilomar Conference Grounds with the natural beauty of the Pacific Ocean to nourish our souls. Please help us bring diverse and important voices from around the world to the 2019 ATP International Transpersonal Conference. Your donation will fund scholarships for aspiring young graduate students, low-income attendees including those from developing countries with less economic resources, and others who need support. We seek to remove financial barriers so the next generation of leaders in our field can come together at our conference to create a holistic, inclusive, healthy, and life-affirming world! Please invest in a future of the transpersonal, as it becomes increasingly global, by being generous and supportive — and give what you can. There will be a place to make your donation during the registration process. We thank you in advance for any support you can offer. Be prepared to pay onsite.
. For questions about CE, visit www.spiritualcompetency.com or contact David Lukoff, PhD at ce@spiritualcompetency.com.